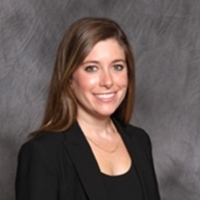 Tracey is also a seasoned tax law researcher and served as a research assistant to Professor Adam Rosenzweig at Northwestern University School of Law. She assisted in the editing of Problems and Materials in Federal Income Taxation (Seventh Edition). She cut her teeth in estate planning law at the firm of Becker and House PLLC in Scottsdale, Arizona, and held an internship in the Juvenile Rights Division of the Legal Aid Society in New York. Some of the most contentious legal cases an attorney can handle involve marital dissolution, child custody, and order of protection proceedings. At the firm of Grund & Leavitt PC, one of the nation’s preeminent family law firms, Tracy earned her stripes as an associate attorney. Family law tests a lawyer’s mettle. These complex situations require the most creative of legal situations, judicious of time and money. From asset identification and business valuation to aggressive trial advocacy and deft negotiation, Tracey has been tested inside and outside of the courtroom and that gives Bernstein clients an acute advantage.